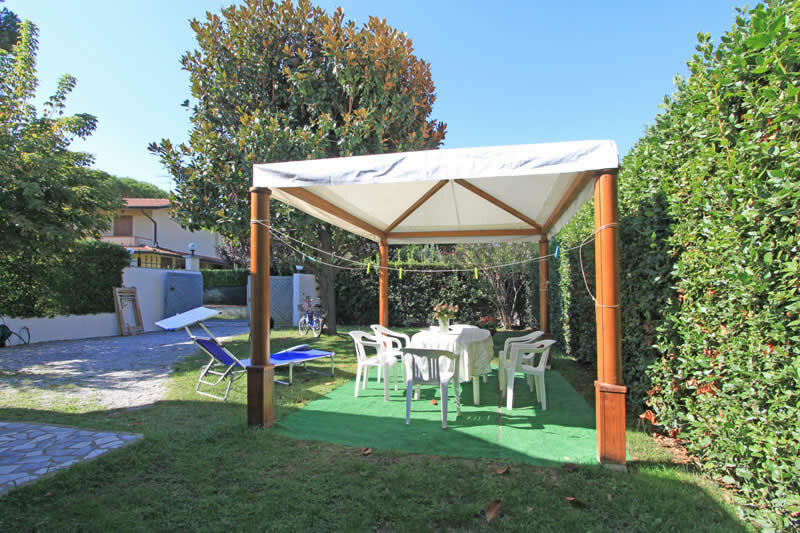 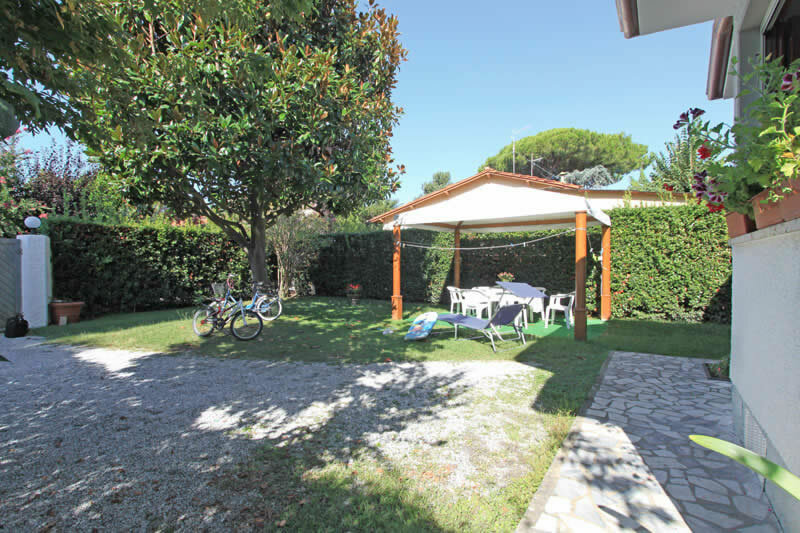 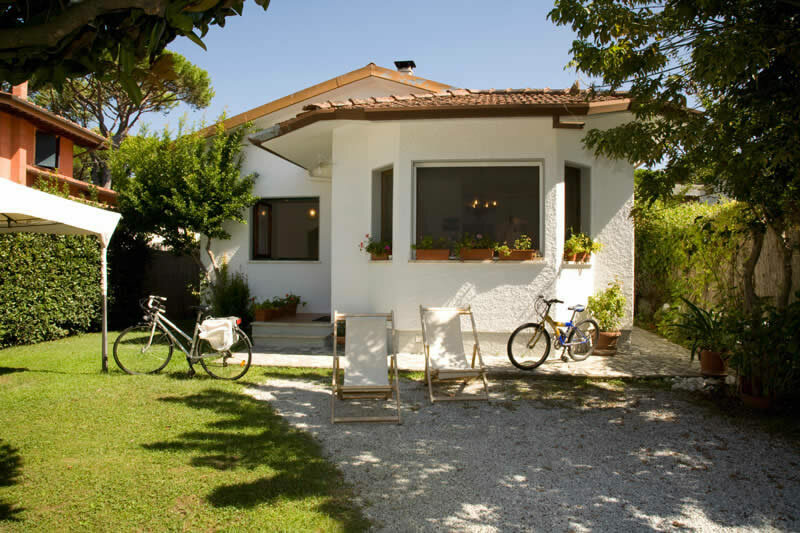 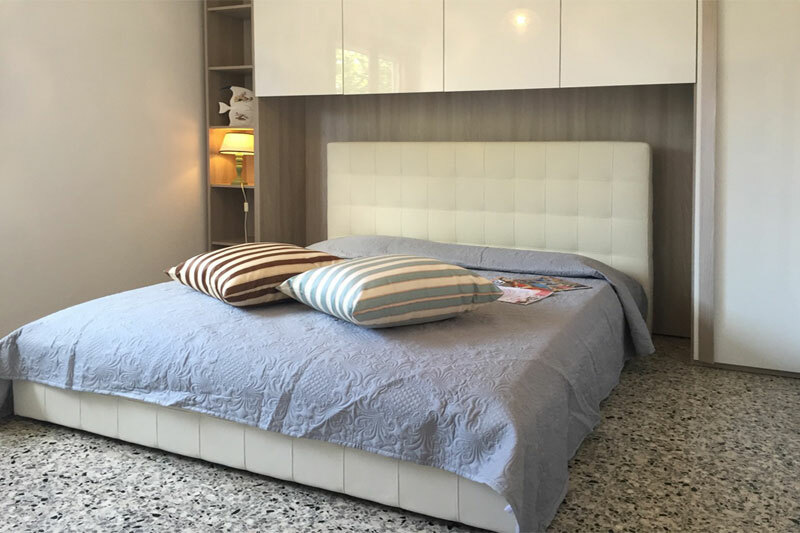 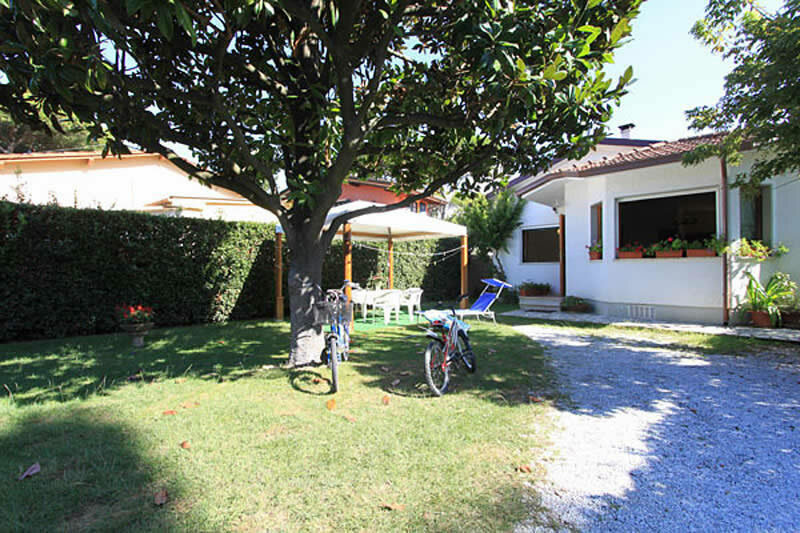 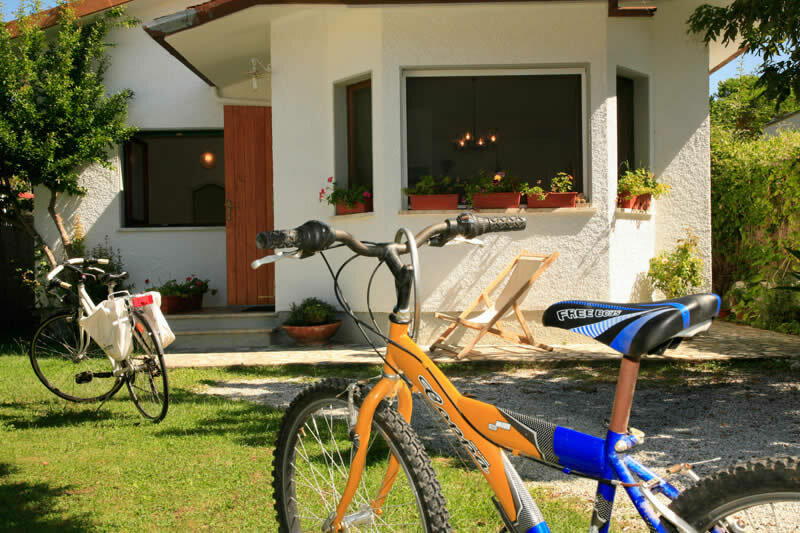 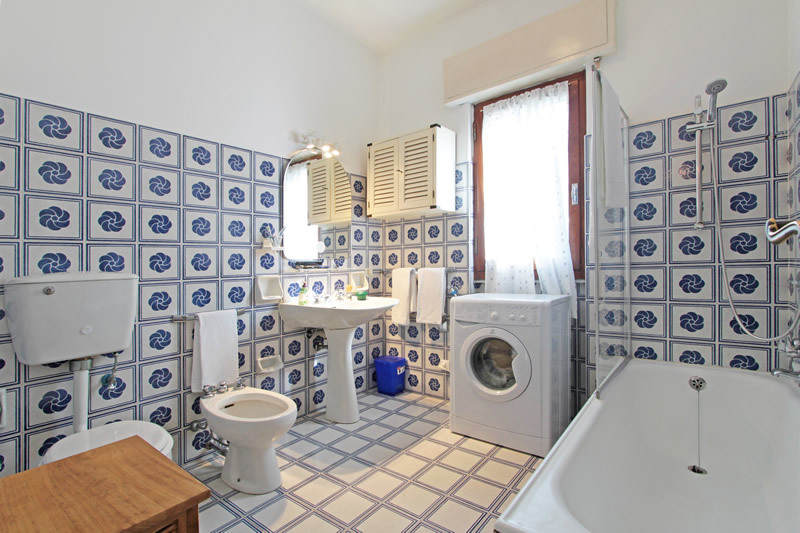 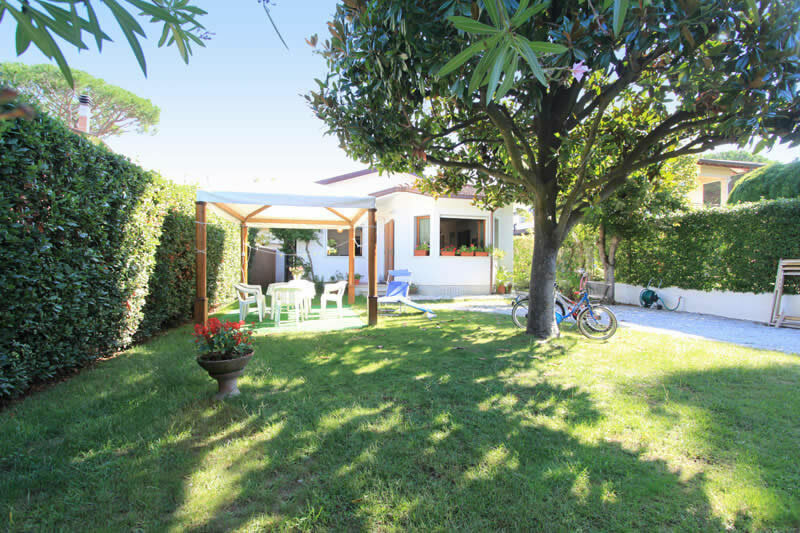 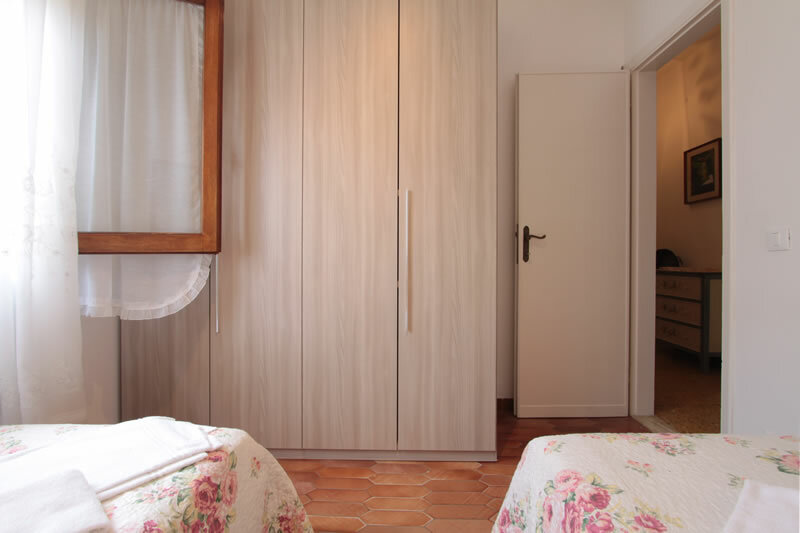 Drive down the private road, you will find villa Sandra a nice single villa built on 1 floor with a well-kept flower-full garden and set in a great position, quiet, peaceful, close to the beach, to the shops and a quick walk to the centre of Forte dei Marmi. 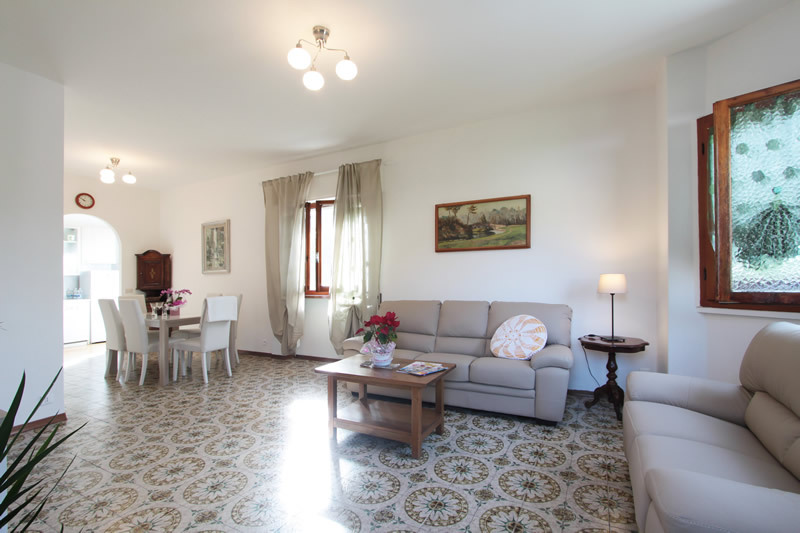 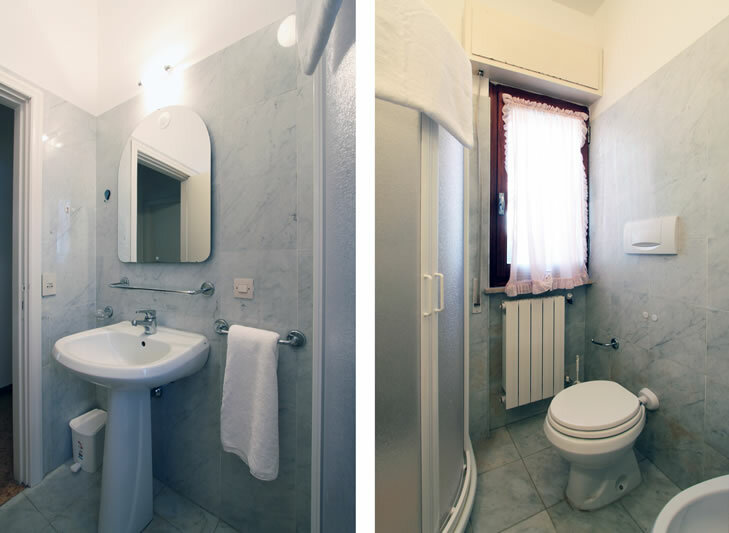 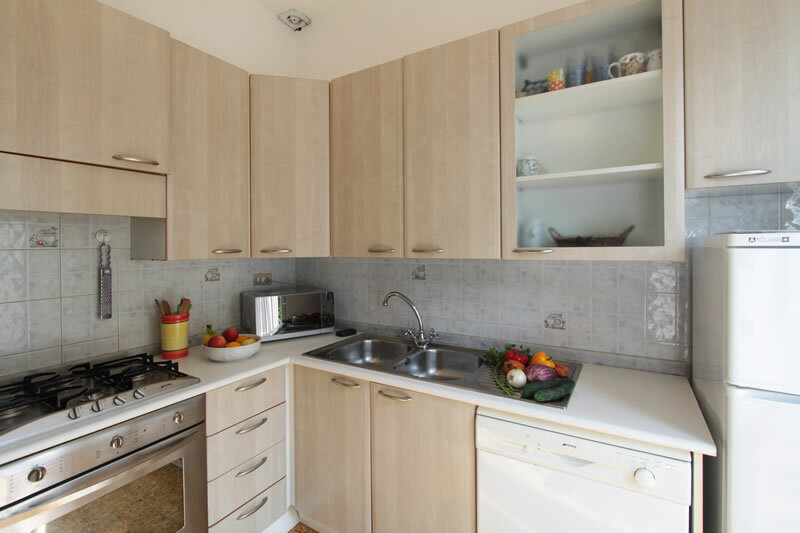 Inside villa Sandra is bright it is modernly furnished with taste and has an attractive living-dining room divided from the kitchenette by an arch. 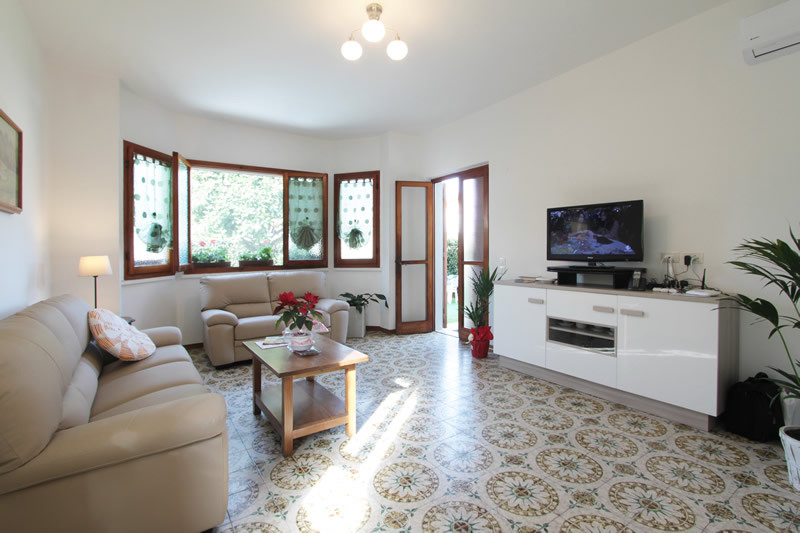 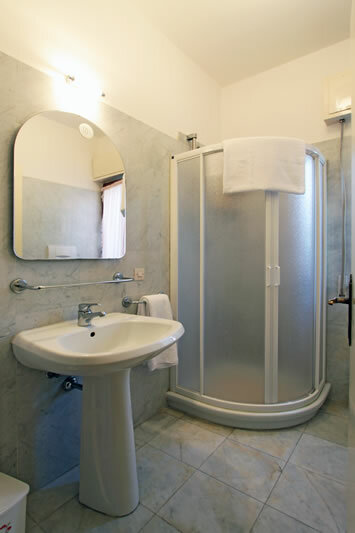 It has air conditioning in the bedrooms and in the living dining room, making it a comfortable reasonable priced villa. 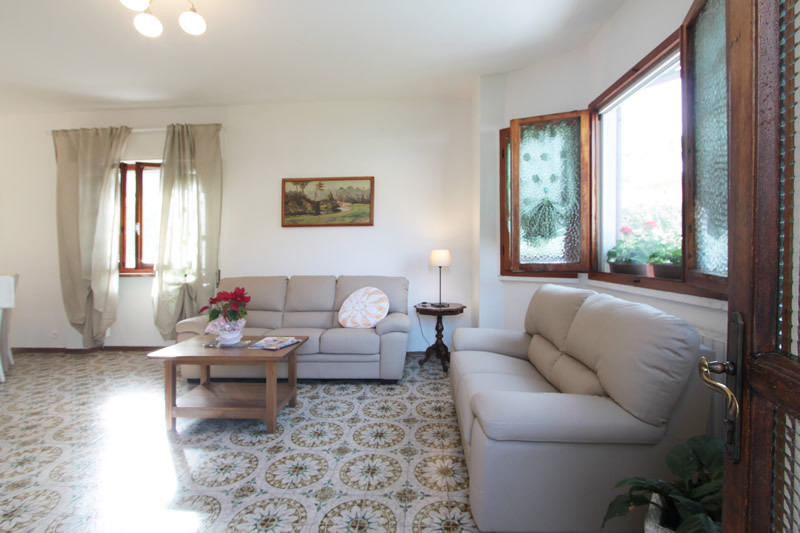 Villa Sandra has: living dining room with air conditioning, kitchenette, 2 double bedrooms with air conditioning, 1 twin bedroom with air conditioning, bathroom, shower room with shower cabin, fridge-freezer, washing machine, dishwasher, Colour TV, Wifi Internet, garden and private parking.